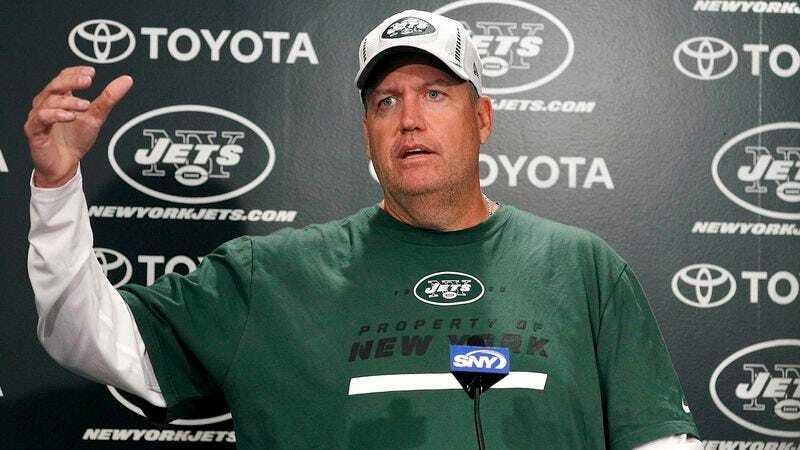 NEW YORK—Jets head coach Rex Ryan told reporters at a press conference Thursday that anything short of a 6-10 record this season would be considered a flat-out failure. “I’ve never been afraid of setting lofty goals for this team, and we set the benchmark last year,” said Ryan, adding that anything less than third or fourth place in the NFC East would be a huge letdown for the team, front office, and fans. “I can see the potential for this team, so I’m not afraid to put it out there. This is a 6-10 team, and I expect us to play 6-10 football this year.” Ryan confirmed that he’s equally ambitious when it comes to setting the bar for himself, saying that a dismissal from the team anytime before week 12 would be an utter disappointment.